When Alien invasions, mad scientists, criminal masterminds, and legendary monsters threaten the Earth, you don't call the police, the FBI, or mobilize the military; you call a Luchador, a Mexican wrestler. Of all the cult film genres throughout cinema history, the bizarre, yet immeasurably creative Mexican horror genre is, unfortunately, on down the rung of popularity. Just below that is the Lucha Libre films, or wrestling movies. These films, particularly those featuring the legendary Santo, have an extremely niche audience on US shores. 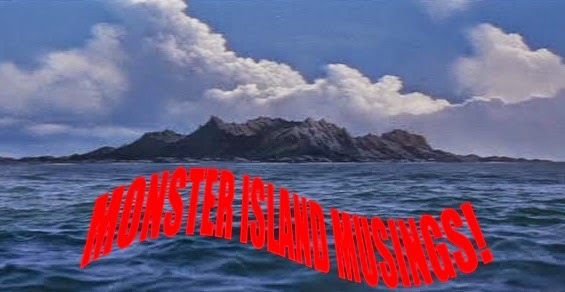 Very few of them were ever dubbed into English; and at first glance a great many more would be hard sells to even the most jaded bizarro cinema/exploitation junkie. 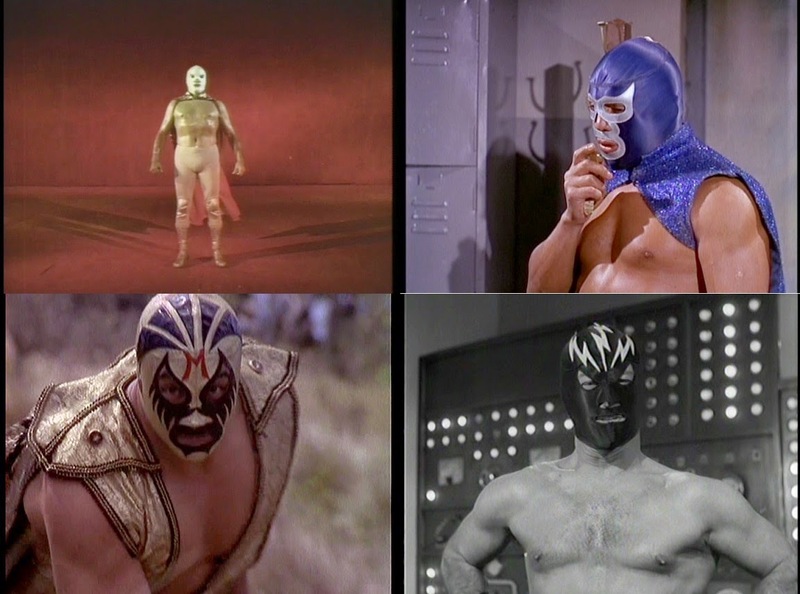 The following article is basically a crash course on these films that not only touches on its local popularity, instances of life imitating art (and vice versa), but acts as an introduction to this fascinatingly bonkers style of movie; and one that gives you an idea of what you're in for should you wish to explore the likes of Santo, Blue Demon, Mil Mascaras, Neutron, etc, and their unique blend of wrestling and theatrical production. The sport of professional wrestling has a long, illustrious history in Mexico. It's historical significance is unique in that the sport became just as popular on the big screen with scores of films featuring some of Mexico's most famous mat technicians; creating a few that became in-ring favorites because of their celluloid adventures; and creating a few Luchadores that existed only in the movie world. The sport was wildly popular in North America and Japan, but its favorability was entrenched within Mexican popular culture to a folkloric level not seen anywhere else. The most famous of Mexico's wrestlers was Santo, El Enmascarado de Plata (The Man in the Silver Mask); or, simply, Santo (the Saint, or Holy), alias Rodolfo Guzman Huerta. 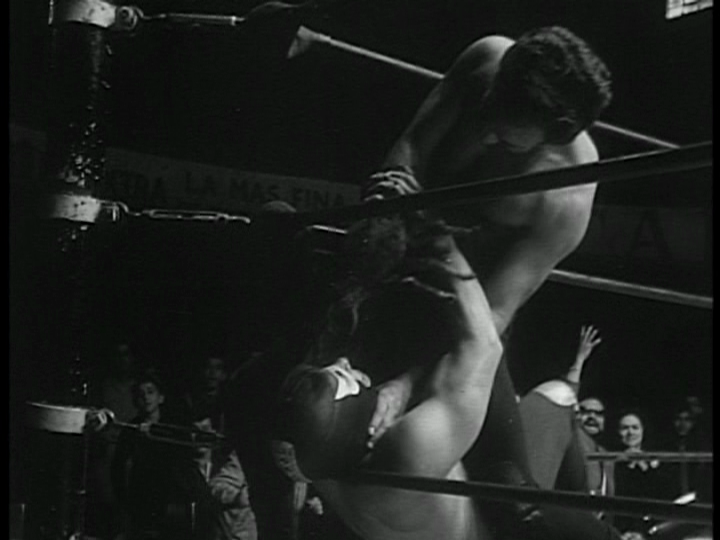 In 1952, Lucha Libre entered the cinematic ring with the three-man tag team of LA BESTIA MAGNIFICA, HURACAN RAMIREZ, and EL ENMASCARADO DE PLATA. 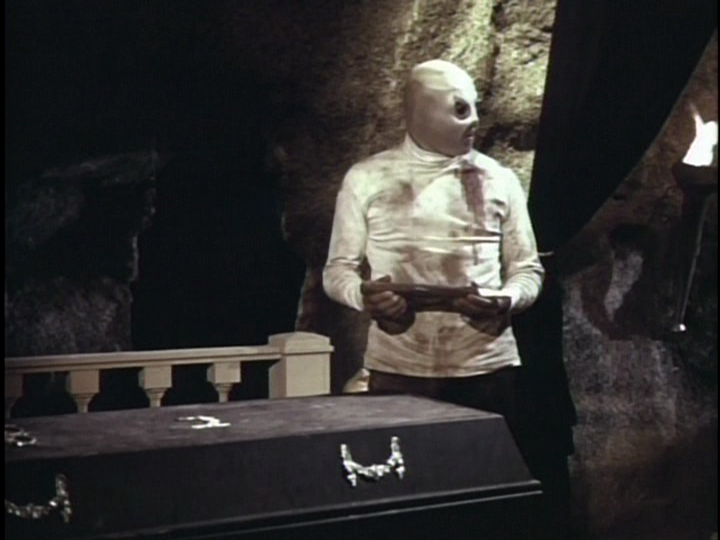 That third title was the first such Silver Mask film, only it wasn't the real Santo in the lead, but the original Killer Doctor (Dr. Wagner). The irony of this production is that the Silver Mask in the film is a villainous character. 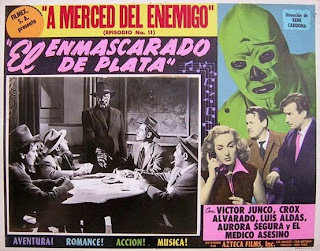 EL ENMASCARADO DE PLATA was a serialized motion picture made up of 11 chapters, and ran a little over two hours. Rodolfo Guzman Huerta was asked to star in the 1952 film that bore his title, but passed on the opportunity; possibly because he wasn't ready to commit to making movies, or that making them wouldn't catch on with the public; or because the Silver Mask in the film was a villain; and there was nothing villainous about what Santo represented. It was several years before he finally did go before the cameras in two Cuban shot actioners; the first film was the peculiar CEREBRO DEL MAL (1958), or BRAIN OF EVIL. 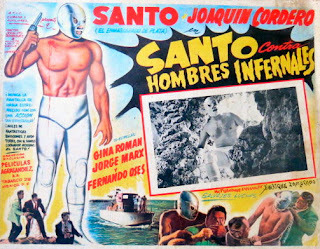 Santo featured in another movie shot right alongside this one titled SANTO CONTRA HOMBRES INFERNALES. According to some sources, neither film made much of a dent at the box office. 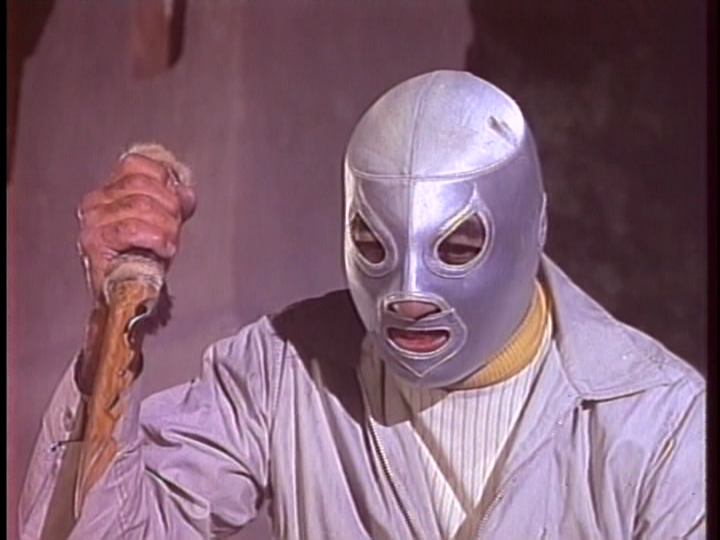 It wasn't till the Silver Masked One's third movie, SANTO CONTRA LOS ZOMBIES (1961), that his Silver Screen career skyrocketed. For the next two decades, Santo would do battle with a variety of men and monsters. The list of the Saintly One's adversaries reads like a who's who of comic book scum and villainy including vampires, werewolves, mad scientists, voodoo priestesses, mobsters, martians, criminal masterminds, time-traveling warlocks, zombies, mummies, headhunters, old west pistoleros, Nazis, and blobs from outer space. Masks were a popular addition to the Mexican wrestler ensemble, and Santo made the mask an iconic symbol. In his early career, he wrestled under different identities before settling on the moniker that made his name, and Lucha Libre a well known commodity the world over. Akin to Zorro, or even The Lone Ranger, the use of a mask gave men like Santo a superhero quality that elevated them to legendary status in the eyes of the public. The difference being you didn't see Zorro or the Lone Ranger regularly wrestling opponents in between movie roles; not to mention Santo had a more profound connection with his fans since he was a real person. The mystique surrounding Santo led to him getting his own comic book series beginning in 1952, and only grew from there. 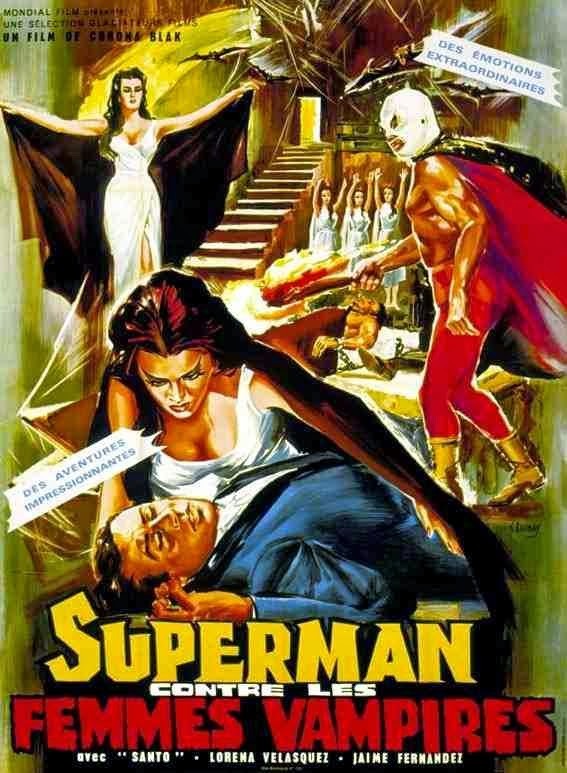 Whether in the ring, in comics, or in the movies, Santo was a hero to the downtrodden -- Superman with a mask, if you will. French advertising for his movies promoted him as such. The mask was essentially an extension of the man's persona. Just like in wrestling, once a mat technicians mask was removed his career was essentially over. 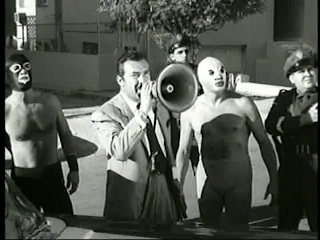 In some of Santo's movies, you'll see the villains attempting to remove the Saint's disguise. The mystery surrounding Santo was so palpable, suspense was derived just as easily from worrying whether he'd lose his mask than if he'd get out of whatever sticky situation he'd found himself in. 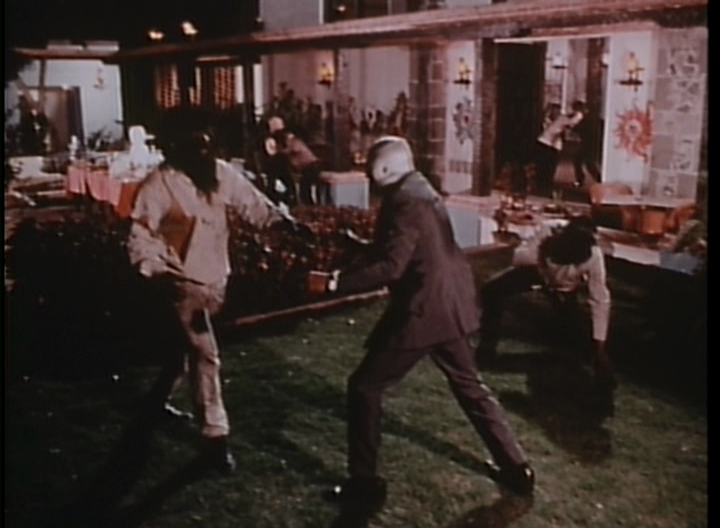 An example of this is in SANTO CONTRA LOS ZOMBIES when Santo is attacked by a multitude of the title zombies (bulletproof musclemen wielding electrified rods). Instead of taking him out, one of the villains decides instead to try and take his mask off. It might seem silly to some, but it provides a striking, if goofy parallel to the wrestling world from which it sprang. 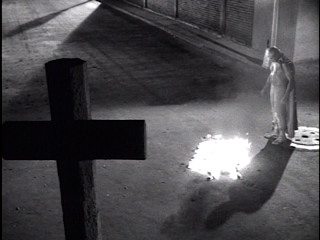 In EL HACHA DIABOLICA (1965), Santo is given an all new origin story; replacing the more down to earth one afforded him in SANTO CONTRA EL REY DEL CRIMEN (1962). 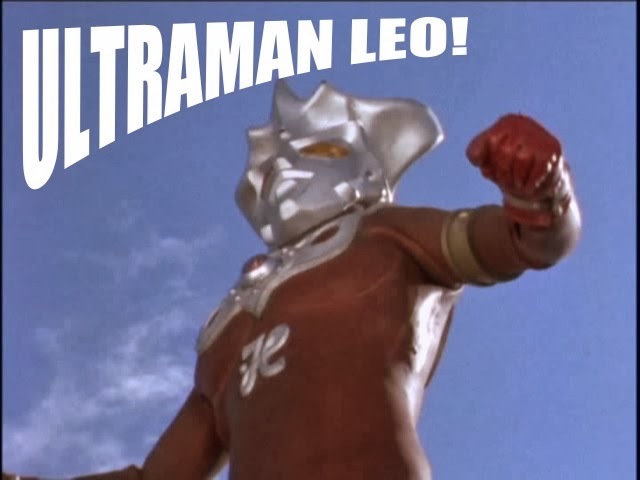 In the '65 film, his mask is imbued with magical powers. His axe-slinging, devil worshiping nemesis The Black Hood wears one also, and if removed, loses his immortality; so there's a few times where both men are battling to get the others mask off. 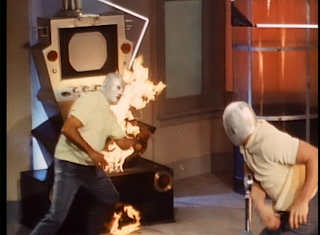 This was also one of Santo's last purely super hero adventures before spy movie conventions infiltrated the plot lines. In a case of life imitating art, the origin stories of both the above-mentioned movies reveals there's been an entire lineage of Santo's passing the mask down from one generation to the next. Santo's youngest of ten children, Jorge Guzman Rodriguez took up the mantle of wrestling's savior as El Hijo Del Santo. In true comic book fashion, the Son of the Saint never knew his dad was the iconic Holiness of the ring till he got the surprise of his life at eight years old. Santo's mystique came to an end shortly before his death in 1984 when he unmasked himself a few times on Mexican television. He was buried wearing his famous mask. Statues have been erected in his honor since his death on February 5th, 1984. 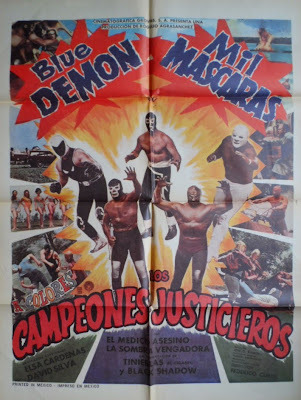 The superhero connection with Luchadores reached its apex in 1970 with the January 1971 release of the Justice League of Mexican wrestling movies, THE CHAMPIONS OF JUSTICE. 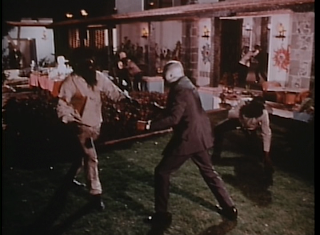 In that film, five masked wrestlers tackle a mad scientist and his army of super strong midget assassins. It garnered two sequels that rotated its heroic membership. 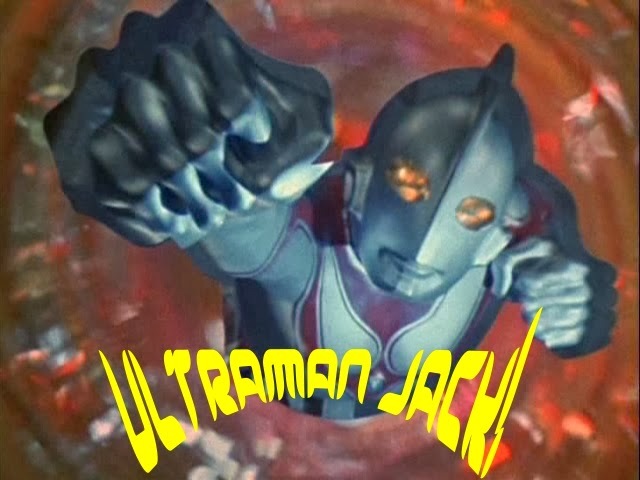 There had been superhero movies before, but nothing like this, and certainly none were wrestlers. Santo was not in this one, but Blue Demon, the second biggest star of Lucha cinema was the leader of the band. 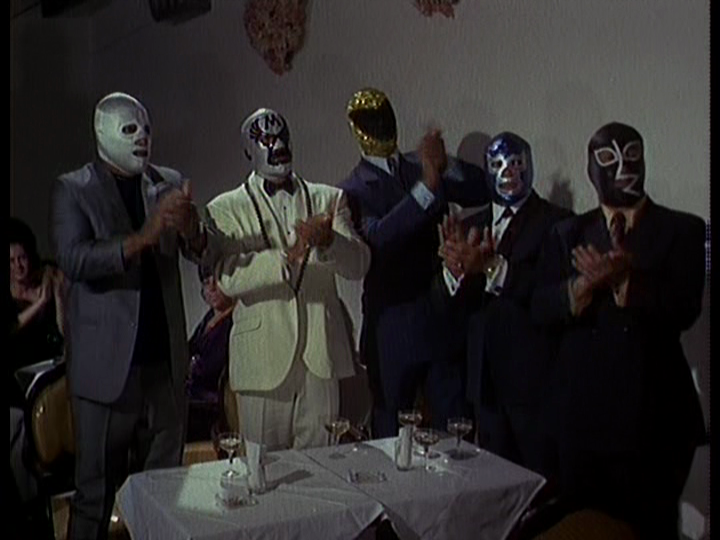 The third member of the Big Three, Mil Mascaras (Thousand Masks) co-stars. Filling out the five man team was old school masked man The Avenging Shadow (to confuse things, another wrestler, Rayo De Jalisco used an almost identical costume), Tinieblas (Darkness, one of a few wrestlers to get his own comic book), and El Medico Asesino (The Killer Doctor). The last two were making their debuts. Tinieblas appeared in movies first, then the ring on August 20th, 1971. 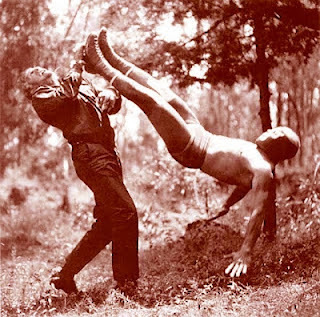 The Killer Doctor of this movie was a new KD, Gran Markus, who had been wrestling since 1963. 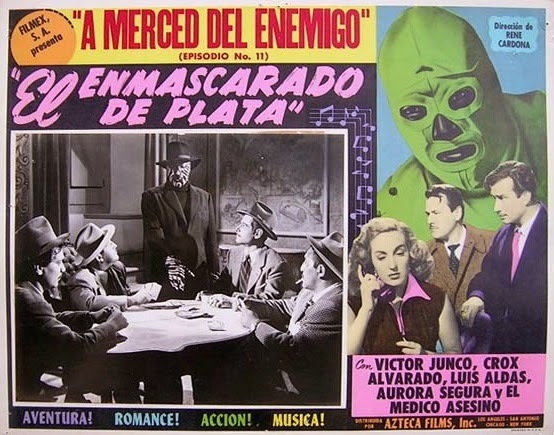 This film, along with the following years smash LAS MOMIAS DE GUANAJUATO (1970/1972), popularized the plot device of cramming as many masks into one movie as possible. 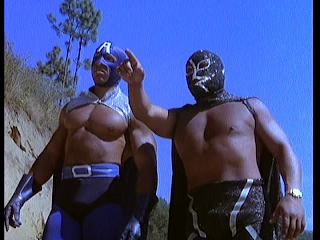 Some of the guys in these movies went onto successful wrestling careers, or were already known commodities, and others who came in the sequels and spin-offs never quite attained the status of some of Mexico's big guns both in the ring and on the screen. 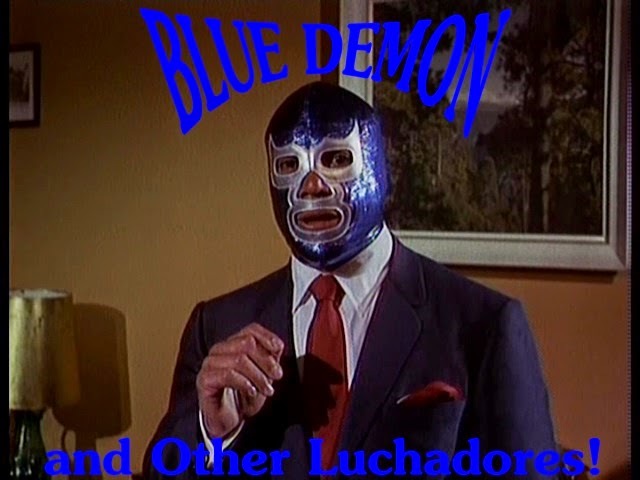 A little bit about Blue Demon's movie career -- he was the second most popular wrestler, and the second most popular in Lucha cinema. His acting career began a few years after Santo's, and mirrored it in a few ways. Santo was something of a supporting player in his first two movies before his onscreen persona was fully realized in the third; Blue had cameos in two films prior to DEMONIO AZUL (1964), which was his official intro into the movie world. When Santo began doing full blown spy films, the Demon followed suit. In his solo efforts, the Demon battled werewolves, Satanic power, alien spiders that could take the shape of humans (see insert), mad scientists, criminal masterminds, and alien females in a reversal of Larry Buchanan's MARS NEEDS WOMEN (1967) in BLUE DEMON CONTRA LAS INVASORAS (1968). He headlined half the films of Santo. The two, who were rivals in real life, imported that heatedly competitive spirit into the scripts of three films from producer Jesus Martinez Sotomayor that teamed them up and pitted them against each other. Those three films are SANTO CONTRA BLUE DEMON EN LA ATLANTIDA (1969), SANTO Y BLUE DEMON CONTRA LOS MONSTRUOS (1969), and EL MUNDO DE LOS MUERTOS (1969). Both athletes did a total of eight movies together. To place the Demon's filmography into context with The Saint's, his pictures were more serious, more violent, yet they seemed even cheaper by comparison. Santo's resume, as inexpensive as his films were, had more polished productions on it. Both men also had sons that followed their path into the business. To put the Mexican fantasy film industry into perspective with the America's, they were, in some ways, between 20-30 years behind where Hollywood was in the 1960s. This isn't a bad thing, just an observation, and one of the more appealing aspects of those films. Cheaply made, they had in their favor an atmosphere akin to the old Universal horror films of the 30s and 40s. 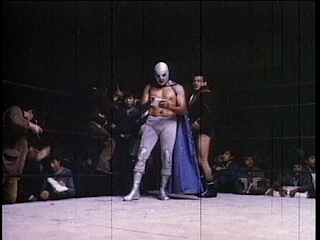 The Lucha genre fared worse, but moved with the change in trends; yet the advancement in filming techniques did not. The special effects in these movies were crude to say the least; frequently lacking in craftsmanship, while the creativity of the scripts occasionally made up for their relative cheapness. 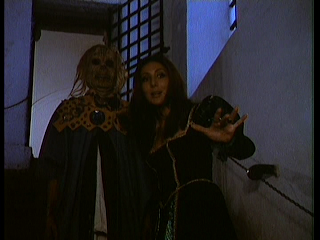 When you saw monsters, particularly those of the very popular Guanajuato Mummy movies, the extent of the makeup was generally a fright mask and maybe some gloves. Rudimentary, but effectively creepy in some cases. 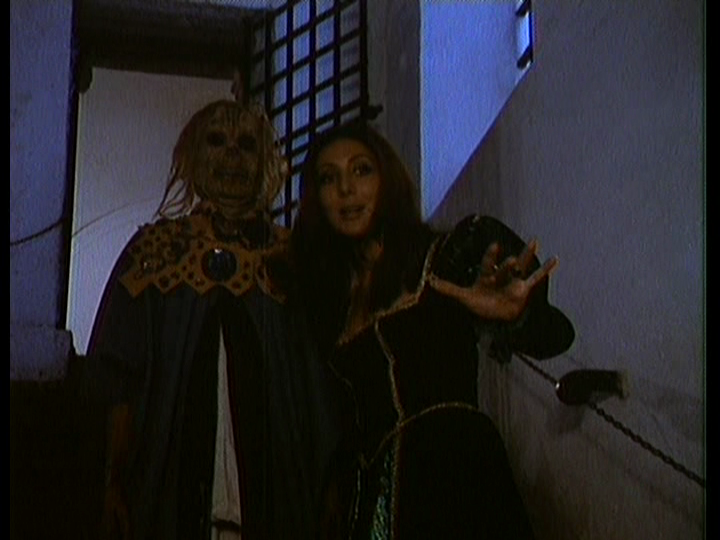 It was a rare occasion to see a full-body makeup in a Mexican fantasy-wrestling movie, too. The Aztec Mummy in its various B/W horror and Luchadoras (lady wrestlers) entries comes close, and was a satisfactory design. 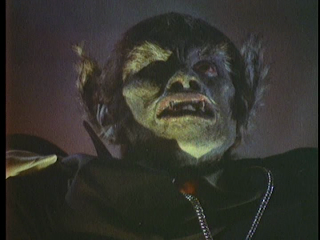 Additionally, the makeups in films like the iconic SANTO EN EL MUSEO DE CERA (1963) and the surrealist-nuttiness combo of the Mexican Yorga styled delights of LOS VAMPIROS COYOACAN (1974) are among the best seen in this genre. 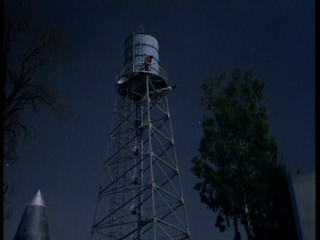 Seeing stock footage from movies like TEENAGERS FROM OUTER SPACE (1959), PLAN 9 FROM OUTER SPACE (1959), HERCULES IN THE HAUNTED WORLD (1961), and MONSTER ZERO (1965) gives an idea just how destitute the production values tended to be. Who would have thought flying hubcaps would look so good in comparison. 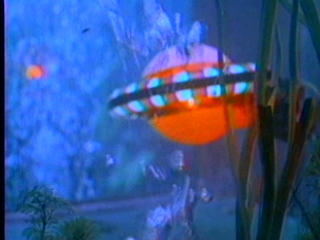 For instance, the fem-aliens of BLUE DEMON CONTRA LAS INVASORAS (1969) fly their yo-yo UFO into a fish tank disguised as a lake. You can even see the rod maneuvering it in and out of the tank! The "aerial dogfight" between two flying yo-yos at the finale defies description. 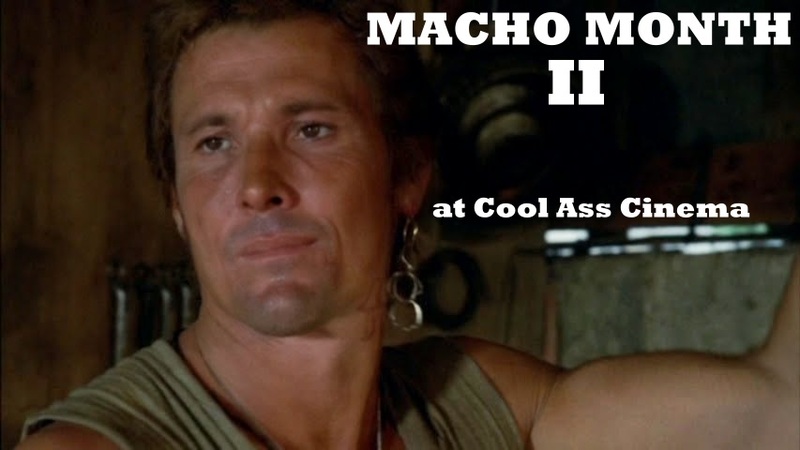 Action scenes were plentiful (not counting wrestling matches), but with such low budgets and speedy production schedules, there was scarce time for more than a single take -- and it shows in some movies. Stunts were mostly limited to fisticuffs and some decently staged falls, but you will see some impressive stunts from time to time. Dummy deaths were frequent, too, particularly in the 70s movies. On occasion you'd see a car blown up, but many times quick edits would cut away before vehicles crashed, or tumbled over cliffs. You would hear a car crash, but you wouldn't see it happen. 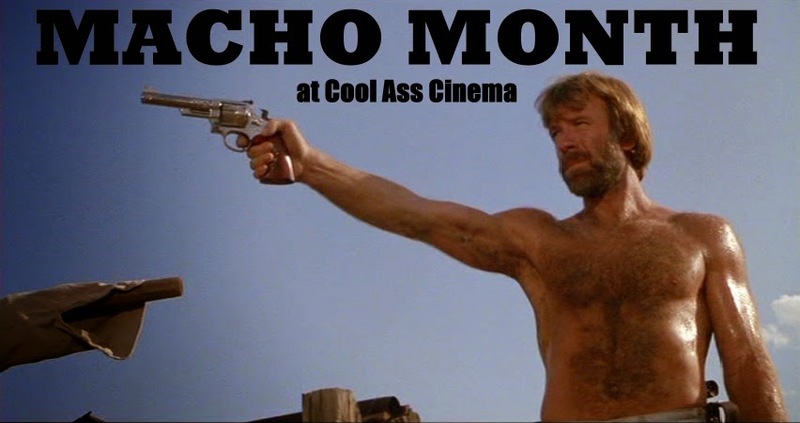 This degree of hurried sloppiness might not do the films any favors, but it does succeed in the overall entertainment value for fans who can get into bad cinema. 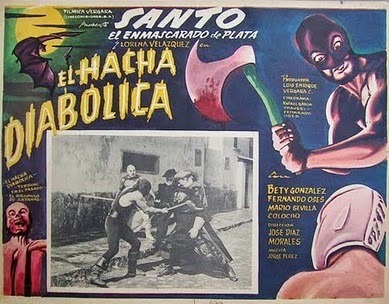 Despite their popularity with paying audiences, these films received widespread critical drubbing much like the Italian variants of the Sword and Sandal genre; yet, like those mythological muscleman movies that enabled the upper echelon to keep making their artistic endeavors, the likes of Santo kept the impoverished cine-mexico afloat. The film industry in Mexico at this time was not the glitz and glamor of Hollywood. Productions were funded by the state from loans handed out through the Banco Cinematografico (National Cinematographic Bank). Depending on the type of loan acquired (an A through D system) meant how much money the producers could receive to get their project going. Sometimes this percentage was used to shoot the entire film without having any extra funds added resulting in a less than quality product. Taking into account that some of Mexico's cinematic output defaulted on the loans given to production companies, Santo's films were something of a financial phenomenon; the profits being used to pay back loans elsewhere as opposed to financing other Saintly ventures. Corruption also reportedly had its hand in the cookie jar with producers pocketing some of the budget before it was used for the making of the film. This state-run template seemed to stifle, or discourage quality productions -- which might explain why a number of Santo movies (and others) just sit there and die with little in the way of editing, sense of camera placement, or artistic merit. Things did gradually improve into the 1970s when the industry embraced a capitalist, more free market system with private investors involved. 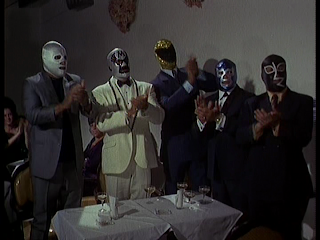 But Lucha cinema had seen its best days in the 1960s. The National Cinematographic Bank was out of business by 1978; and the singing cash registers of Santo and friends had lost their voice by this point. 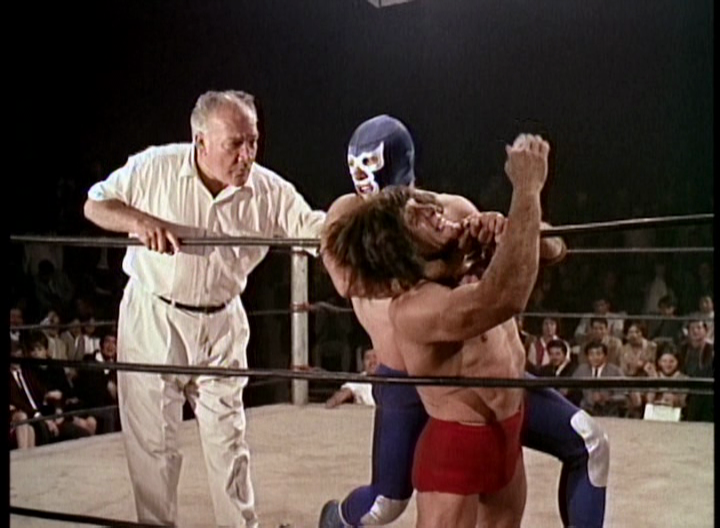 A great many Mexican wrestling movies were shot in an episodic format to take advantage of the unionized system in Mexico at that time. Features were shot at facilities aligned with the STPC (Sindicato de Trabajadores de Producción Cinematográfica), while television productions, documentaries, etc, were assigned to the STIC (Sindicato de Trabajadores de la Industria Cinematográfica). The former was more expensive, naturally, so film producers wishing to save a peso or two would take advantage of the much cheaper STIC union whereby said feature would be shot in a series of episodes. An example of this would be Santo's most famous film on these shores, SANTO CONTRA LAS MUJERES VAMPIRO (1962) being an STPC production; while ATACAN LAS BRUJAS (1964), which is virtually a remake but substituting witch's for vampires, was an STIC picture. 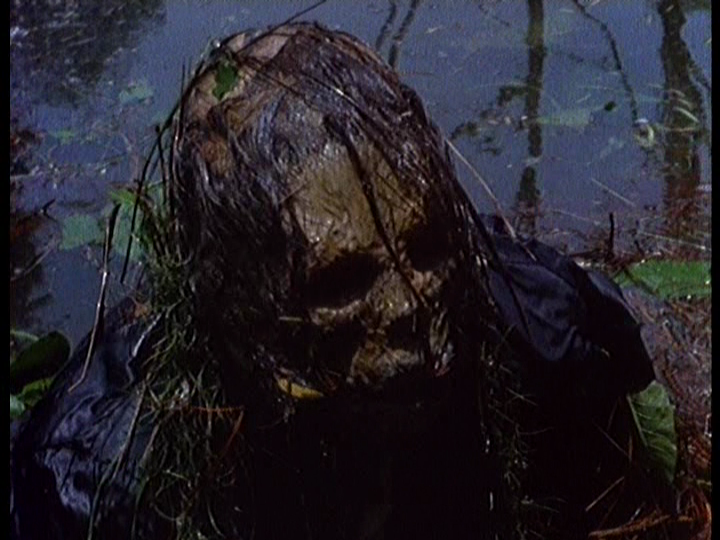 Split into three "episodes", the titles (not listed on the current DVD print) are 'The Witch's Attack', 'The Damned Witch', and 'Bloody Sabbath'. Both films are very entertaining, but the former looks far more polished than the latter. 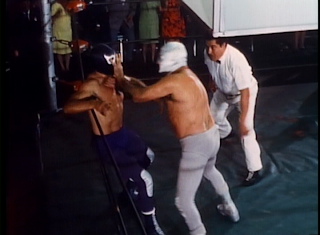 Regardless of which union was used, Mexican wrestling movies were predominantly extremely low budgeted films. 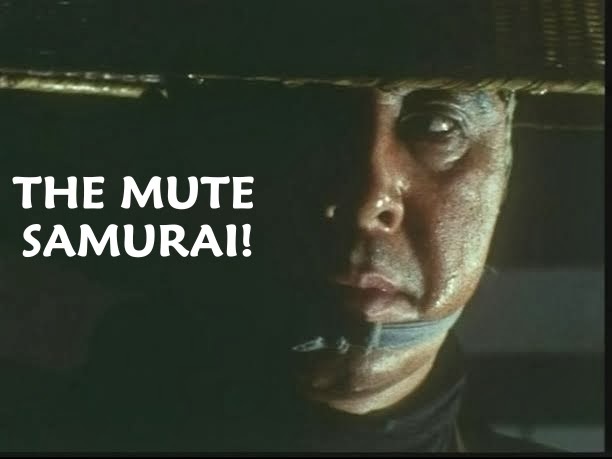 Thankfully, there's a healthy amount of this insanely entertaining genre product.